Michael Bakari Jordan (born February 9, 1987) is an American actor. Jordan's television roles include Wallace in the HBO series The Wire (2002), Reggie Montgomery in the ABC soap opera All My Children (2003–2006), and Vince Howard in the NBC drama series Friday Night Lights (2009–2011). 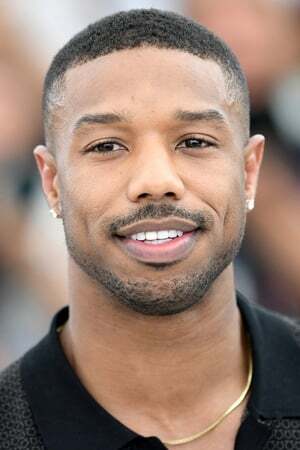 Jordan's film roles include shooting victim Oscar Grant in the film Fruitvale Station (2013), for which he received considerable critical acclaim, the Human Torch in the 2015 Fantastic Four, and Adonis Creed in the Rocky sequel film Creed (2015). Other film performances include Red Tails (2012), Chronicle (2012), That Awkward Moment (2014) and the Marvel Studios superhero film Black Panther (2018). He frequently collaborates with filmmaker Ryan Coogler. Description above from the Wikipedia article Michael B. Jordan, licensed under CC-BY-SA, full list of contributors on Wikipedia.